A movie scene recreated in augmented reality. For Welcome to Marwen, the groundbreaking, genre-defying new film from visionary Academy Award winning filmmaker Robert Zemeckis (Forrest Gump, Back the Future trilogy, Cast Away) starring Steve Carrell, Universal Pictures has partnered with The Mill’s emerging technology team to build an Augmented Reality mobile device app that will, for the first time, transport users into the movie itself. Unlike any film seen before, Welcome to Marwen (in theaters Dec. 21) is based on the miraculous true story of Mark Hogancamp (Carell), an illustrator who, after a violent attack that shatters his body and his memories, heals himself through the power of his artistic imagination. As the technology of filmmaking evolves, new opportunities arise to leverage that technology to also market the film. Zemeckis is a pioneer of using emerging technology to tell his stories. And his latest film is no exception, where Zemeckis uses the magic of motion capture to bring the fantasy world of Marwen to life. It’s this motion capture technology that has allowed Universal Pictures and The Mill to transport users into the first-ever 3-D digital recreation of a movie scene, marking a new level of innovation in film marketing. The Mill’s in-house creative technology team took characters and locations from the movie and crafted an interactive experience that allows the audience to immerse themselves in the world of Marwen and explore an exclusive scene before the film is released in theaters on Dec. 21. Users are introduced to the app and its technology by Zemeckis before the scene plays. Inside the scene, users can meet the characters and explore the environment. 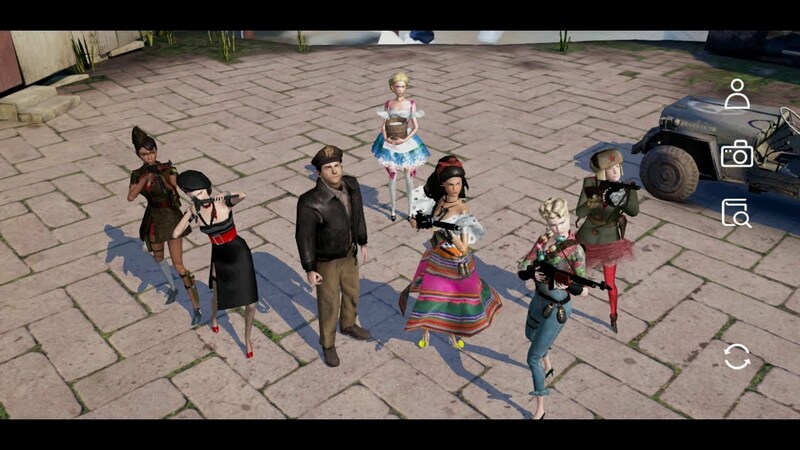 They can even snap a photograph from their favorite angle and then share the image on their social platforms as a Marwen digital postcard. Additional activities include character bios, photo galleries and behind- the-scenes content. The Mill also created a Facebook filter where users can toggle between turning themselves into Cap’n Hogie, replete with aviator shades and Captain’s hat, and share their new look with friends. Simon finishes, “Given Robert Zemeckis’ inspiring history of revolutionary VFX innovations at the cinema, this project was the perfect opportunity to showcase a new approach to second screen content within the entertainment industry. Let your ideas take shape with our help. ‘86½ years’ is a web experience using both photography and audio to tell stories of Joseph Markovitch, a London pensioner, who had lived in East London area his entire live. The narrative is driven by eye tracking technology.